Philip King is a board certified in Internal Medicine and Nephrology. He has been practicing in the eastside for well over 15 years. His clinical interests are Hypertension, fluid & electrolyte imbalance, kidney disease & dialysis, and renal transplantation. Dr Kandala is in practices from the Bellevue offices, and consults at all the three major hospitals on the eastside. She is Board Certified in Nephrology and specializes in kidney problems, high blood pressure and dialysis. She lives in Bellevue with her husband and two kids. She is the Medical Director of the Davita’s Bellevue dialysis center. Dr Kandala did her medical school in India, her residency in Internal Medicine at University of Washington and Nephrology fellowship at University of Washington. Her primary language is English and she can speak other Indian languages like Hindi, Oriya and Telugu. Originally from Ireland, Dr Dooley practices in Bellevue and Kirkland. 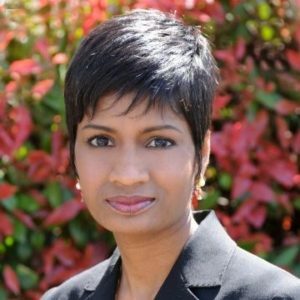 She is Board Certified in Internal Medicine and Nephrology; and specializes in kidney problems, high blood pressure and dialysis. She is also Medical Director of the Northwest Kidney Center Bellevue dialysis center. After attending medical school at UC Davis in California, she completed her nephrology fellowship at the University of Washington. Her goal is to provide technologically advanced medical care that is at the same time compassionate. She are also committed to educating patients, the public and professionals in all matters related to kidney disease. 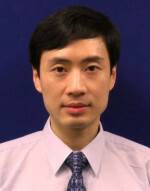 Dr. Li studied medicine in Beijing at Peking University, China’s top medical school, and completed his Master’s degree in Public Health at the University of Minnesota. From there, he joined Fred Hutchinson Cancer Research Center to conduct research in Public Health. While at Fred Hutchinson, Dr. Li fell in love with Seattle, leaving in 2010 to complete his residency in Internal Medicine at Florida Hospital Orlando. He continued on to the University of California, Irvine to pursue a Fellowship in Nephrology. In the summer of 2015, Dr. Li returned to Seattle to join Cascade Kidney. Dr. Li specializes in acute and chronic kidney disease, dialysis care, post-transplant care, hypertension, and kidney stone management. He’s board certified in both Nephrology and Internal Medicine. Dr. Li also serves as the medical director for Snoqualmie Ridge Kidney Center and Overlake Hospital’s inpatient dialysis care. He has published more than 70 research papers, many in top medical journals, and is a member of several Nephrology committees. Dr. Thomas is a clinical nephrologist and global health researcher. She currently performs research at the Institute for Health Metrics and Evaluation, with specific focus on the global burden of kidney disease as measured in the Global Burden of Disease Study. She is directly involved with program development for renal replacement therapy for Ethiopia and Cambodia.